The French bank’s shares sank 6 pct after a media report that penalties for sanctions breaches could top $10 bln. Doubts about the intentions of the U.S. authorities may be creating a false market in BNP shares. Worse, the delay raises the prospect of possible EU retaliation. 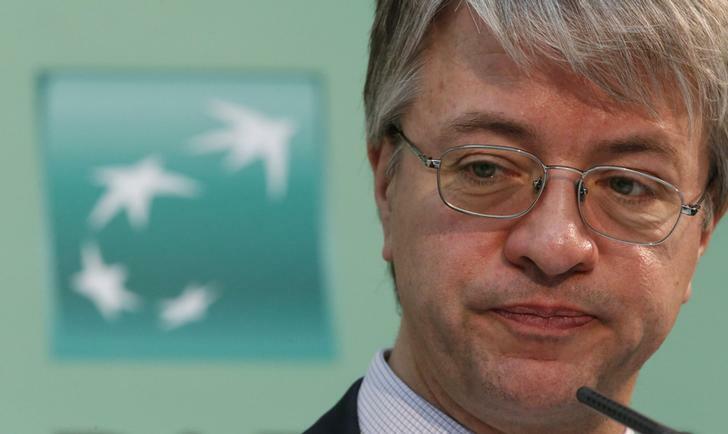 BNP Paribas bank Chief Executive Officer Jean-Laurent Bonnafe attends the presentation of the bank's 2012 annual results in Paris February 14, 2013. U.S. authorities are seeking to fine BNP Paribas more than $10 billion for violating sanctions on dollar payments to blacklisted companies, The Wall Street Journal reported on May 30. BNP Paribas declined to comment when contacted by Breakingviews.